eFulfillment Service (EFS) is a leading provider of international order fulfillment services for online sellers in the U.S. and throughout the world. If you’re an online seller in the U.S. and are looking to expand into international markets, we can help. We ship to all countries served by USPS and UPS, and we handle all of the complexities associated with international fulfillment, so you don’t have to. International Sellers Shipping to the U.S.
We work with online sellers all over the world that are in need of a U.S.-based eCommerce fulfillment center in order to save time and money, and to reach their U.S. customers faster. We understand the difficulty of navigating international shipping rules, keeping up-to-date on product regulations imposed by various U.S. agencies, and complying with these rules. We offer a simple billing process that allows you to pay as you go, with no long-term commitments, and payment methods that make it convenient for you. We offer free shopping cart integration with our web-based fulfillment software, allowing our clients to monitor orders and manage inventory from anywhere, at anytime. If your company is based outside the U.S. and needs a pick, pack, and ship solution within our borders, we can help. Our award-winning fulfillment services save your business time, money and headaches, and our 30-day, risk-free trial period makes it easy to put us to the test. eCommerce spending is expected to grow significantly over the next 5-10 years, and with eFulfillment Service, your business will be poised to tap new markets and handle rapid growth. See why so many online sellers in the U.S. and around the world have put their trust in EFS. 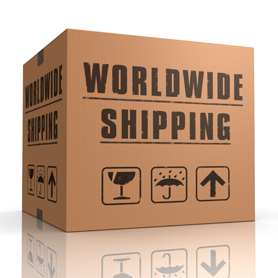 Request a free quote today for our U.S. and international fulfillment services.